The first month of school is over. It's true -- time really is accelerating. The NJSTA Science Convention is here in late October (info below). NJAAPT is hosting the Regional AAPT Section Meeting at Bergen Community College. The Regional Meeting rotates every year between New England, New York, & New Jersey, so this is the year for New Jersey! This is a great opportunity to do professional development on a regional level, without the expense and travel of a larger national meeting. Upcoming workshop on using spreadsheets (The Spreadsheet Lab Manual) to help students learn computational modeling applied to Physics phenomena. As always, we are looking for workshop ideas, and for teachers who can host a workshop. NJAAPT can help with organizing and publicizing workshops and sharing sessions -- we need YOU and your ideas to make them happen. 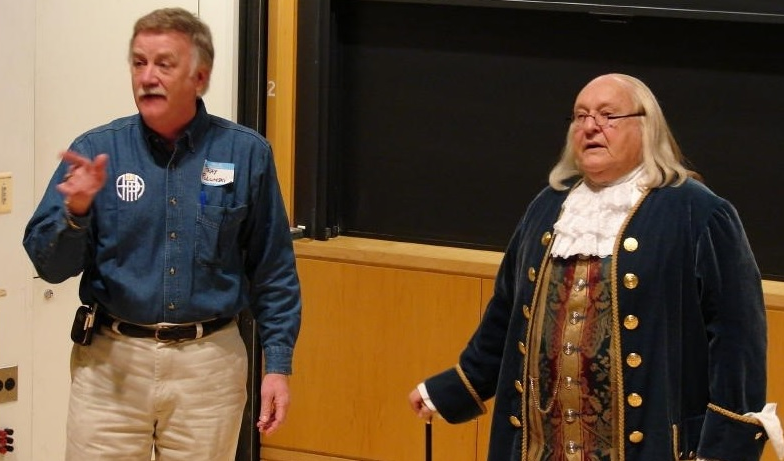 Please consider helping us in our mission to support and enrich Physics Education in New Jersey by being part of the Executive Board. You don't need to be Einstein, it is not a huge time commitment, and you will be helping other Physics teachers. Anyone is welcome ! Join our national professional organization, AAPT (NJAAPT is the local section). 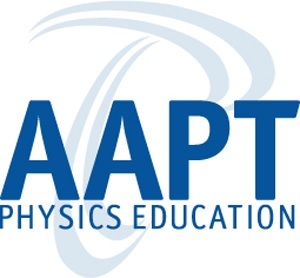 You'll get access to resources on the AAPT website, and to the national meetings (summer/winter), where you can meet and hear from Physics teachers from all over the country. Information here. See John's Demo Show at the Regional Mtg in November! It seems that many Physics teachers have arrived at their career via non-traditional paths. Often, the reason has been supply-and-demand, and comprehensive certifications, in which non-Physics majors end up teaching the subject. This is changing as the need for Physics teachers is publicized, and as colleges and NJ provide more and better training for aspiring Physics teachers. Ray Polomski, who served as the President of NJAAPT for many years, reflects on his journey in the late 1960's. Ray had Physics (with no lab) in high school, and as a science major in college, had no exposure to Physics until his junior year. During a 3-week practicum, he was asked to prepare and teach a lesson, and enjoyed the interaction. Graduating with the intention of going to medical school, Ray had only 8 credits in Physics, and no student teaching. But fate intervened, and Ray ended up being hired by the Dumont school district, having no teaching certificate, to teach Earth Science (which he never studied), Chemistry, and Physics. Thanks to his mentor Sel Greenzweig, Ray learned Physics and how to teach it, and was encouraged to join AAPT to learn more. Ray spent the remainder of his teaching career at Dumont HS. Ray says that the learning never stopped from the day he began teaching until his retirement. He started sharing sessions at Dumont HS, learned about using demos to enhance instruction from John Johnson and Bob Neff through AAPT. These experiences helped shape Ray's teaching career and provided his students with an appreciation of Physics. 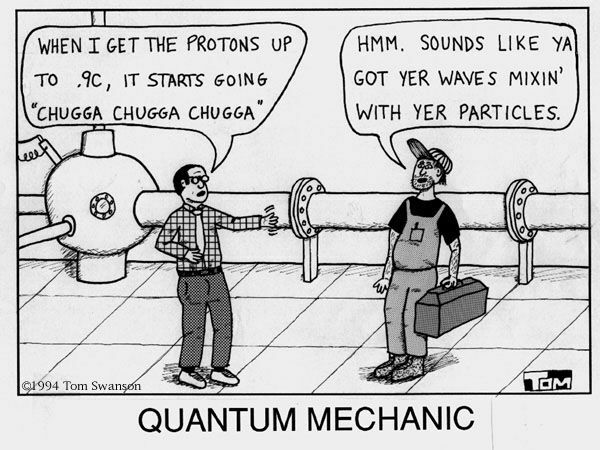 For those of you who have come to Physics teaching in a non-traditional way, you are not alone! And the learning never stops. The NJAAPT website is hosted by Wild Apricot. The website doesn't always show up well on phones or tablets. But now there is an app available for members to use, but at this time, it is only available for iOS, not Android. Go to the Wild Apricot site here, and select "App for Members" (NOT the App for Admins). NJAAPT has a listserve for members. You can ask/answer questions about Physics, teaching ideas, unidentified equipment, etc. To send a listserve message, send an email with your question to: njaapt@mail.aapt.org and it will be sent out to members.